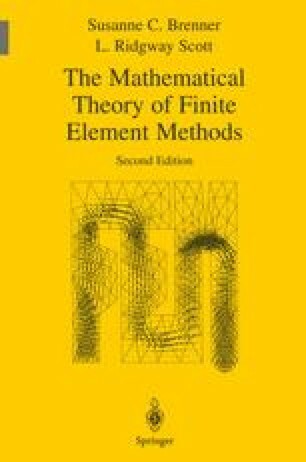 The name “mixed method” is applied to a variety of finite element methods which have more than one approximation space. Typically one or more of the spaces play the role of Lagrange multipliers which enforce constraints. The name and many of the original concepts for such methods originated in solid mechanics where it was desirable to have a more accurate approximation of certain derivatives of the displacement. However, for the Stokes equations which govern viscous fluid flow, the natural Galerkin approximation is a mixed method.